Seattle, WA — Strategies 360 is pleased to announce the hiring of Katrina Edmunds as Digital Director for the firm’s growing digital marketing team. Katrina brings nearly a decade of proven experience and leadership in digital campaign management to guide S360’s digital team towards continued client success and wins across the West. 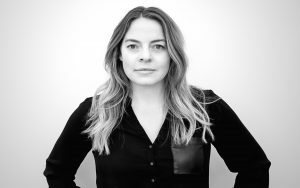 As Digital Director, Katrina will oversee campaign strategy and execution of S360’s largest and most complex accounts. She has extensive experience in digital campaign management – from major universities and hospitals to local issues and political candidates, Katrina is driven to create positive change. She joins the firm from the Office of Montana Secretary of State Linda McCulloch, where she developed and led an outreach campaign that connected more than 50,000 young voters to local issues using state-of-the-art digital marketing techniques. She also developed an award-winning civic engagement program which was honored for its innovation by the National Secretaries of State Association in 2016. “Katrina is a driven executive with the digital marketing expertise and finely-honed leadership skills that will position S360’s clients for success. She brings cutting-edge strategies and thoughtful innovations that enhance the impact of our digital team.” said Ron Dotzauer, founder and CEO of Strategies 360. One of Katrina’s greatest passions outside the office is encouraging young women and girls, particularly from disadvantaged backgrounds, to cement their places in the world of technology. She’s served as Marketing Manager on the leadership team for ChickTech, a nonprofit devoted to retaining women in the technology workforce and increasing the number of women and girls pursuing technology-based careers. Katrina comes from a long line of Montana ranchers and farmers, and enjoys spending time outdoors skiing, fly-fishing and hiking with her husband and dogs. She earned a BA in International Development Studies from the University of Montana. About Strategies 360: With offices in 12 Western states and Washington, D.C., Strategies 360 is the leading public affairs, communications, research, and marketing firm in the west. The firm also owns and operates its own in-house creative design and marketing practice, The Hilt. With experts drawn from the worlds of government, politics, the news media, quantitative and qualitative research, advertising, marketing and design, S360 crafts and executes the strategies that help clients succeed.